Other information: Good with children, dogs and cats. Mabel was found as a tiny kitten on the streets, but the rough ‘n’ tumble life was not at meant for her. Her sweet, affectionate, and well-behaved personality is much more suited to a warm seat in a house, where she’ll be doted on and enjoy snuggling with you. Mabel is right at home in a busy household. Her current foster home has a large dog, several cats, and a toddler. Clearly Mabel is one for showing versatility, and will find her niche in the most chaotic of households. Fun-loving and affectionate, Mabel’s a good fit for many who’ll enjoy her snuggles and play. 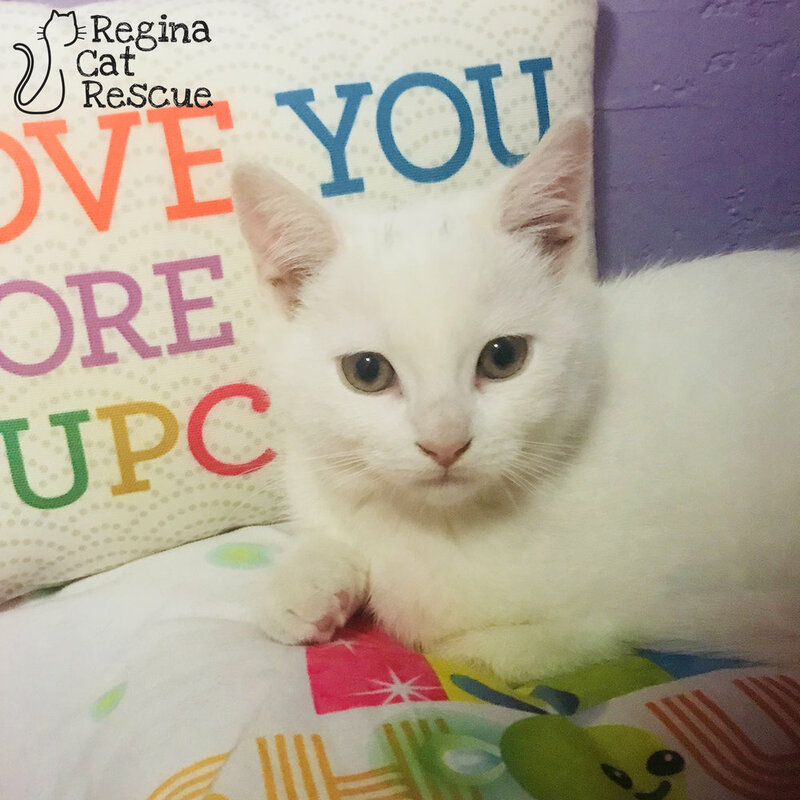 If you are interested in Mabel, click here to view our adoption contract and click here to complete an adoption application or email the RCR Adoption Coordinator at adoptions@reginacatrescue.com for more info.